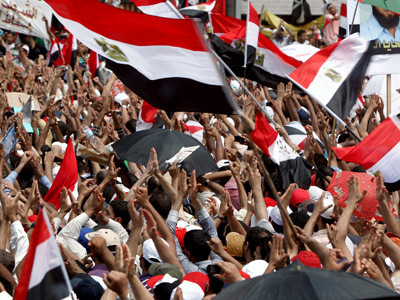 Egypt's president-elect Mohamed Morsi has vowed that the revolution will continue as he read a symbolic oath of office in front of tens of thousands of cheering supporters in Tahrir Square. Swearing himself in before the large crowd, Morsi called himself the leader of the revolution, saying he fears “no one, but God.” His words were met with a roar of enthusiasm from the crowd. "I swear to preserve the republican system… and to preserve the independence of Egypt,” he announced. 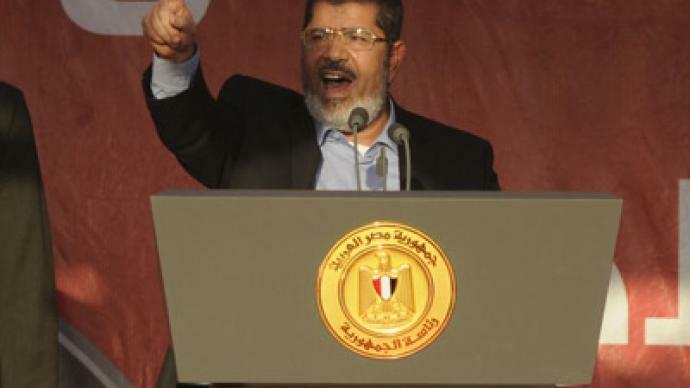 Morsi promised to free detained Egyptian protesters facing military tribunals. Human rights activists say the military authorities have hauled more than 12,000 civilians off for trial before military tribunals since they took power. He also vowed to seek the release of the blind sheik, Omar Abdel-Rahman, jailed in the US for a plot to blow up New York City landmarks. This is the first public speech of the newly elected president. 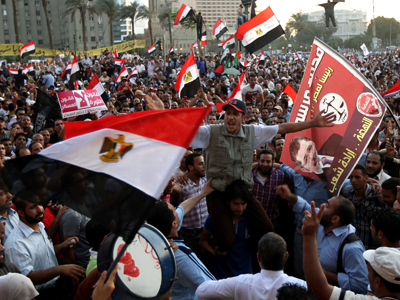 The fact that it took place in Tahrir Square a day before the official oath of office before a high court is seen by many as a clear signal of Morsi’s firm stance towards the military rulers. One of the major challenges Morsi now faces is a power struggle with the country's ruling military council, who are trying to limit presidential authority in post-Mubarak Egypt. The military have promised to transfer power to him by Sunday. But they have also given themselves sweeping powers that undermine the authority of the president. Morsi, who is the first Islamist and first civilian to win the presidency, defeated Mubarak’s last prime minister, Ahmed Shafiq, in a bitter presidential campaign. 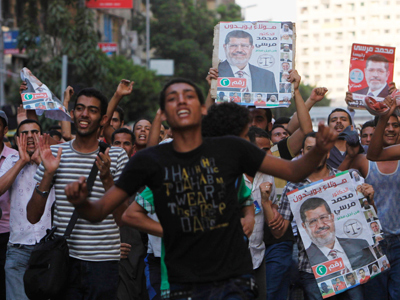 On Sunday, Egypt's election commission named Morsi as the country's president. He received the votes of more than 13 million people, 51.7 per cent of the electorate. It took the commission almost a week to count all the votes as the elections were dogged with allegations of fraud and misconduct. 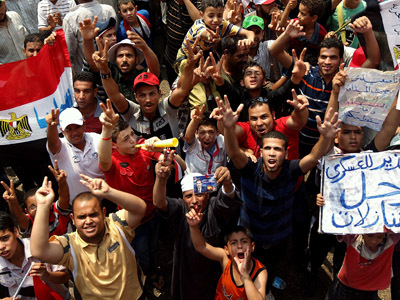 During that time crowds of thousands gathered in Tahrir every day to express their support for Morsi and to call on the military to stop clinging to power.